Surfing through the blogs today, I stopped on one of my favorites Goosie Girls. Renee is talented, sweet, and a genuinely good person. You can’t help but love her! and the pattern to share with us all! 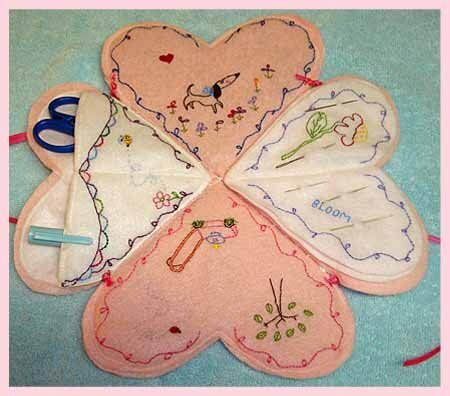 It folds out, and has all of these fun compartments to keep your sewing gear in! Head over to her blog, and check out her cute stuff! I also stumbled across this pattern too at Allpeoplequilt! The cake is a liar! Ooooh, who are Izzy and Ivy? This sounds very interesting. I’m clamoring for more info!I would love to own a nice dressform. Actually, I just need it for photographs, so I’d like a pretty one. Please don’t tell us you thrifted it, I am so not competent at thrifting! Wow! What else can I say.. You are too sweet. Thank you!! 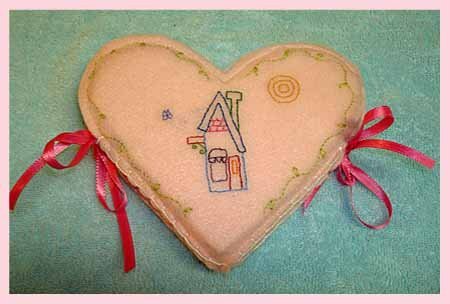 Cute needle case. 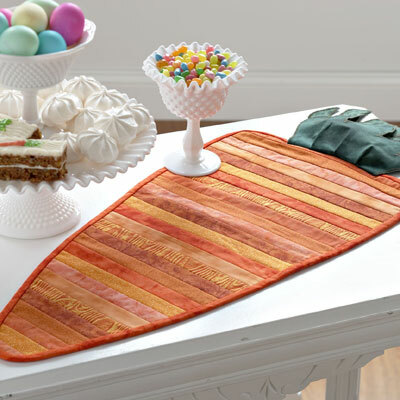 I made the carrot tablerunner last year, and put it on the table yesterday. I also made 4 small squares for placemats using the same method. Fun!! Cute, cute, CUTE!! Thanks for sharing and inspiring!